The latest update from Google is here, and it’s a big one. 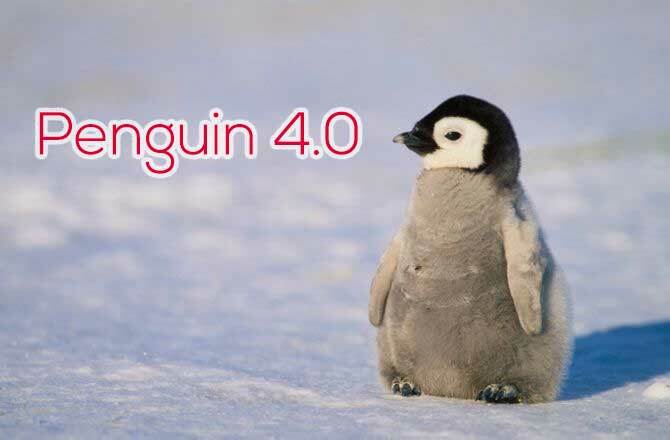 Penguin 4.0, as it’s known, now brings the search engine giant into real-time updates. What this means is that their rankings don’t update on a set basis anymore – any sites which are checked by the big G today will be moved up/down in the rankings immediately, rather than waiting on the next set date. It’s also aiming to be a much more granular inspection than previously, and handing out penalties day to day, rather than on a set schedule. The good news is that it’s had a positive impact on the rankings of many of our customers. Penalties have affected other companies who haven’t followed the Google terms and conditions as closely as they should have. Luckily for them, it should be easier to get penalties removed from their sites if they remove the offending content and play nicely. It’s worthwhile remembering that the full range of Google’s measurements has reached around 200 separate items used to determine a website’s rankings. While we don’t pretend to know all of them, careful analysis gives away the main things they’re looking at. If you’re confused by what it really takes to rank, spend a little time looking at your competitors’ sites. The ones near the top of page 1 will have similar characteristics in most cases. Certainly, the odd spam site slips through to the top for a little while, but it’s usually dealt with in a fairly short period of time, and booted back down to page 20 where it belongs. (That is unless you’re talking about Bing and Yahoo – their algorithm really hasn’t caught up in the last 10 years, and although they’ve got some great other services, it’s fair to say that they just can’t compete in providing the best answers to standard queries). Copyright © 2018 Forward SEO. All Rights Reserved.